IMM is a team of specialists who know everything about media. Since the year 2000, we have effectively monitored, analysed and archived publications from all media. We monitor the Internet, social media, press, radio and television. We work for over 1000 clients from Poland and abroad. For over a decade, we have been a member of an elite international organisation FIBEP (Federation Internationale des Bureaux d’Extraits de Presse), which associates media monitoring companies from all over the world. We have partnered for many years the Responsible Business Forum (FOB). Our CSR objective consists in a sustainable growth based on good relations with clients, partners, employees and stakeholders. We have pursued the objective through supporting non-profit actions, measuring clients and employees satisfaction, fostering good practices in media monitoring industry and enforcing a responsible personnel policy. IMM management comprises of women in over 50%. We work for international corporations, small companies, institutions and public administration, NGOs, PR agencies, marketing agencies, artists and sports people. We constantly innovate our solutions thanks to which we are able to fulfil the expectations of our clients. President of the Management Board of the Institute of Media Monitoring, a member company of the international organisation FIBEP (Federation Internationale des Bureaux d’Extraits de Presse). Member of the Management Board of MediaTrust Romania. President of PRoto.pl publishing house, the largest in Poland opinion-forming portal dedicated to public relations specialists. Mr Sanowski has graduated from Wrocław University of Technology Management and Marketing Faculty and the postgraduate studies at the College of Insurance and Banking in Warsaw. 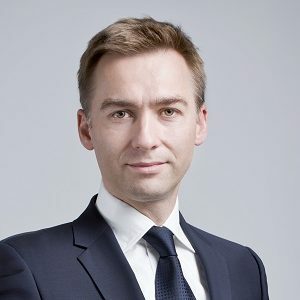 For over a decade, the IMM President has given lectures on media monitoring, among others at the University of Warsaw, Warsaw School of Economics and London School of Public Relations. Mr Sanowski is a member of the jury of the communication industry’s competitions, such as Golden Clips, Superbrands, Columns of the Year, Social Campaign of the Year, and the Best Tourist Product of the Polish Tourist Organisation. 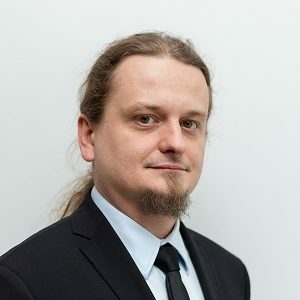 Paweł Sanowski is interested in modern methods of management and also media trends and tools for media analyses. Media analyst with over 10 years of professional experience. Author of research projects on image analyses and PR effects in media for companies including Coca-Cola, PKN Orlen, Kompania Piwowarska, Bayer and Michelin. Digital sociologist specializing in non-reactive research, content analysis and data visualisation. Sector expert, author of research papers and studies, co-author of a book published by IMM titled “Media360. From analysis to sale”. 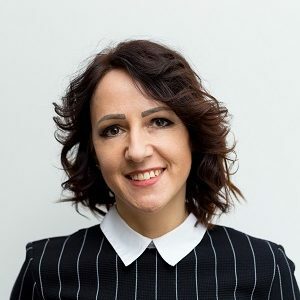 Ms Tokaj conducts trainings and dives lectures at universities where she addresses the usability of data for marketing communication planning and measurements of the effects of promotional campaigns and image strategies. Member of the Polish Society for Opinion and Marketing Research (PTBRiO). Being a cat lover, especially those in outer space, she exemplifies intricate scientific aspects with cats life. She has two of those but plans to expand the breed in the future. On the sales market since 1992, including 19 years in media monitoring sector. 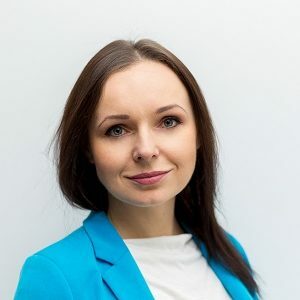 Throughout this time, she has acquired many prestigious Clients for IMM , among others MetLife, PKN Orlen, Michelin Polska, Coca-Cola Poland Services and Kompania Piwowarska. She has been the Manager of the Sales Department for 15 years already. In everyday work, she negotiates terms of cooperation with key accounts and coordinates tendering procedures. Małgorzata is a passionate traveller, especially to Greek islands fifteen of which she has already toured and the number is growing every year. On IMM’s board since 2010. A journalist by profession and philologist and theatre scholar by passion. A person of versatile interests – as proper for a humanist. At IMM, he manages Customer Service Department and personally works on enhancing the key accounts’ satisfaction. In private life, Michał is a fan of Polish fantasy novels and RPG games. Since 2007 continuously refining Customer service standards and optimizing IMM services for companies and institutions that cooperate with IMM. 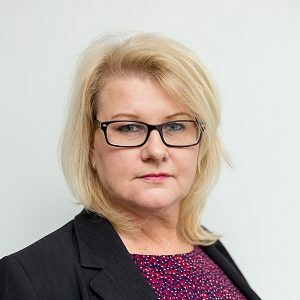 During that time, Elżbieta Lepianka has developed professional competences and was promoted from specialist to expert position. Clients express their satisfaction with professional customer service by feeding positive opinions in social media. In private life, Elżbieta is interested in movies, literature and also new technologies and media. Expert in social research methodology with several years of experience in designing and coordinating the research and the analyses of quantitative and qualitative data. 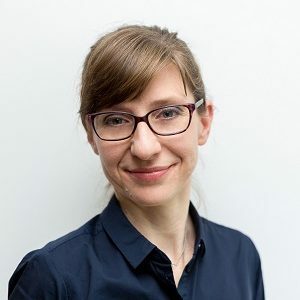 In 2014, Natalia Hipsz received an academic title of PhD in empirical methodology of social research (Social Studies Institute of the University of Warsaw). Speaker at conferences, author of scientific publications and university lecturer. At IMM, in charge of the work of the Analyses Department and a development of the analyses offer. With IMM since 2004, holding the current position since 2008. In everyday work, Ms Bernadyszes coordinates the team’s work and also draws up qualitative and quantitative analyses. Monika’s interests encompass movies and astronomy.